As we speak, your car may be sitting in your driveway, locked, but it can still get burglarized by thieves who won't make a sound. Silent thieves have been getting into vehicles using the same high-tech safety features designed to keep them out. It happened to New York Times writer Nick Bilton, who was in the living room of his Los Angeles home when he saw two strangers approach his car. "I looked outside and there were two kids on bikes and circling my car," he explained. Bilton's awareness was heightened because of recent reports of mysterious break-ins. "I saw one pull out a device and somehow unlocked the car and I was shocked and yelled at them and they ran away," he said. Bilton was able to thwart the would-be thieves, but had no idea about the little black device they used to unlock his car. Adam Wandt, a technology professor at John Jay College, said the prevalence of electronic key fobs has opened the door for thieves who want to take advantage. Devices that can open cars without breaking windows or doors are easily obtainable and for cheap. "Almost every device is available on line these days," he said. 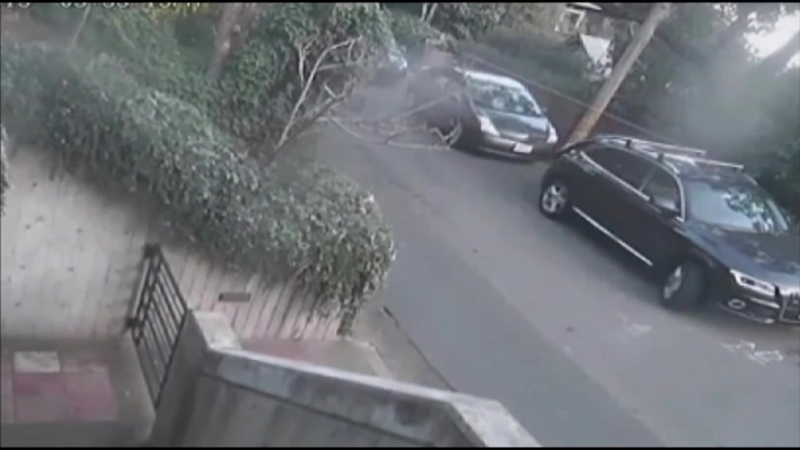 Case in point: Police in Sausalito, California, investigated an incident caught on security footage, in which an accused thief appears to use a device to unlock the door. No alarm goes off. He opens the back door, takes a laptop bag, then pops open the trunk and steals a $15,000 bicycle. The National Insurance Crime Bureau issued a warning about these car thefts and gave the NBC Connecticut Troubleshooters pictures of various devices that can be used. One, an electromagnetic pulse device, sends a shockwave to a car's circuitry, which unlocks doors. A code grabber unlocks cars by locating and duplicating vehicles' remote key codes, allowing someone to get in by cloning your key. And then, Wandt said, there are RF devices. "Hackers have found out how to amplify the signals, so if you keep the keys in your home, they can trick your car into thinking they are standing next to your car while the keys are really in your home," he said. These thefts have annoyed insurance companies and police departments. But for now, thieves mainly steal items from inside the car and are not yet capable of driving them away. You can protect your car by placing your key in something called a Faraday bag, which physically blocks the signal. The bag absorbs the radio frequency. If you don't have a Faraday bag, some experts say the best defense is to just keep your car inside the garage. This way, there's a physical barrier protecting it.